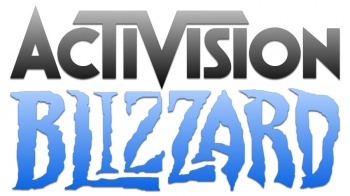 Five years after it quit, Activision Blizzard has become the newest member of the Entertainment Software Association. A little over five years ago, Activision pulled out of the Entertainment Software Association and made the rather shocking announcement that it would not be attending that year's E3 event. "After careful consideration, for business reasons Activision has decided not to participate in any official E3 activities," the publisher said at the time. A couple months later, CEO Bobby Kotick explained that the decision to let its membership lapse was brought about by both vastly increased membership dues and the feeling that the ESA was not able to adequately meet the company's needs. But minds have apparently changed since then, because as of today, Activision is back in the band! "We are excited to join ESA," said Chris Walther of Activision Blizzard. "ESA has a long track-record of supporting its members and the video game industry, and we look forward to sharing our unique perspective and experience with them." Exciting news, yes? What makes it particularly interesting (as these things go) is that the announcement comes on the heels of news that Activision Blizzard parent Vivendi is looking for new ways to squeeze cash out of the company following its failure to sell its stake, possibly by forcing the payout of a special dividend. How the two relate, if they do at all, isn't clear, but what does seem apparent is that things are afoot at and around Activision. The ESA also announced that Chinese online gaming giant Tencent has joined its ranks as well.